Hello, I’m Juliet Clare Bell, but please call me Clare. It’s a long story (featuring my pregnant mother, Shakespeare and orang-utans…) but I’d used the name Clare all my life up until my first picture book contract and we discovered that there was another Clare Bell, children’s author. 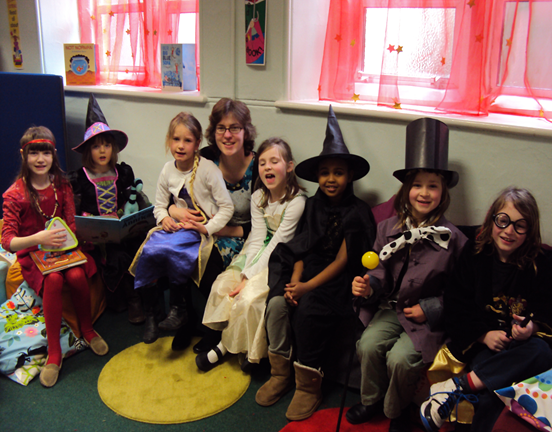 I’m a huge fan of picture books –both reading them (with and without my children) and writing them. I love the way the pictures and words work together to make something so much greater than the sum of the parts. And as a writer, I love (and am slightly terrified by) seeing someone else interpret my story and turn it into our story with their illustrations. 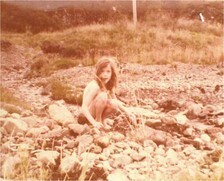 When my children were younger, I wrote in tiny snippets of free time (at the side of a swimming pool, rocking a sleeping –but easily woken- baby; on a park bench when various children had fallen asleep in a pushchair; but mostly in my head, hanging out nappies on the line, feeding babies in the middle of the night, pushing a pushchair, etc.. It still happens a lot in my head but now all the children are at school for at least part of the week, I come home on my writing days and get back into bed with my laptop, lots of scrappy bits of paper, notebooks and pens, and get writing –once I’ve put on my fingerless gloves and plugged them into the computer to heat up! 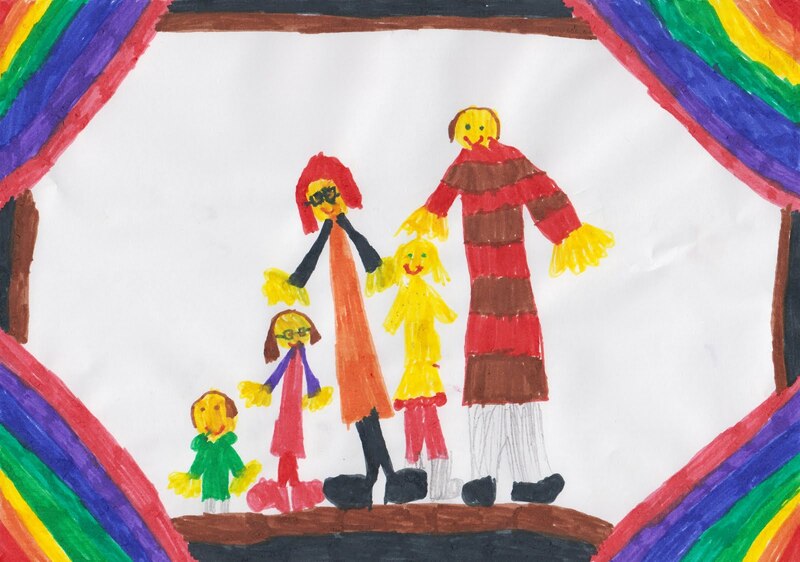 As you can see here (drawn by my middle daughter, second on the left), my children are growing up (now 4, 5 and 8) which means I can work in bed. 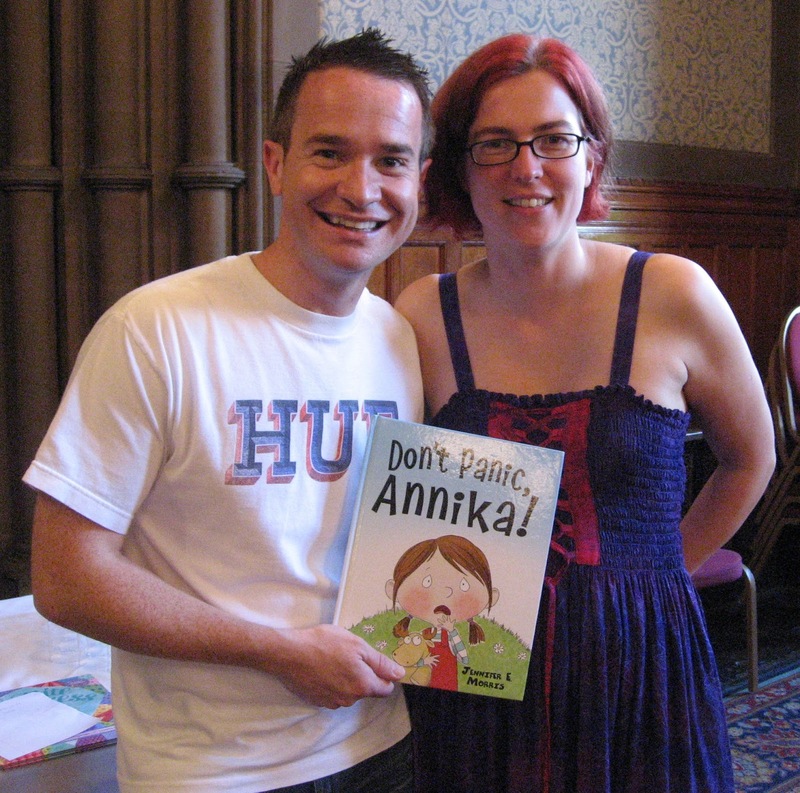 Don’t Panic, Annika! 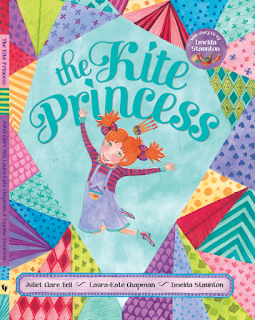 (illustrated by Jennifer E Morris, published by Piccadilly Press, 2011) was short-listed for SCBWI’s Crystal Kite (European award), 2012, and has been translated into Dutch, Slovenian and Chinese (a Taiwanese-English dual-language version). 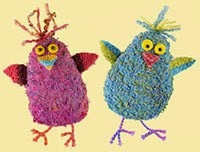 It is also soon to be a CBeebies Bedtime Story. With Alex Winters, CBeebies presenter, at Manchester Children's Literature Festival, 2012. You can watch a real-life Annika reading Don't Panic, Annika here. 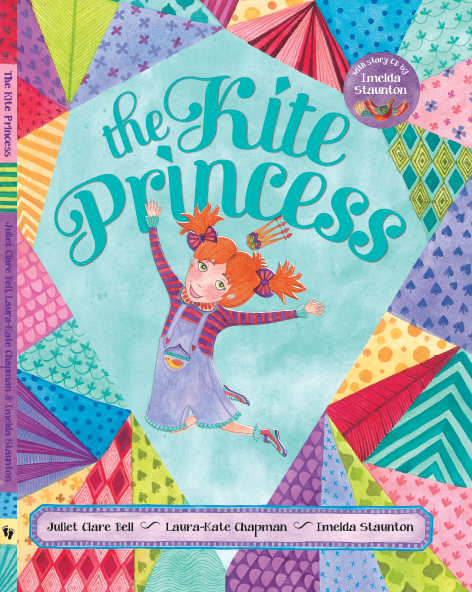 The Kite Princess, a rhyming picture book illustrated by Laura-Kate Chapman and narrated by Oscar-nominated Imelda Staunton (published by Barefoot Books), was short-listed for SCBWI's Crystal Kite (European award) 2013, and is available in the UK, US and elsewhere in English. It has recently been translated into Korean. 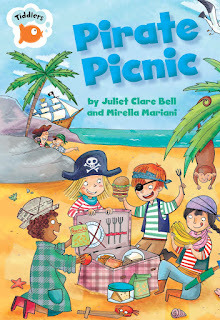 Pirate Picnic, an early reader with Franklin Watts, wasa out in May, 2012. 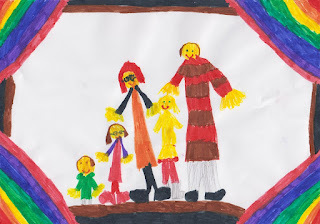 I love the writing side of my job (and am a huge fan of the Society of Children's Book Writers and Illustrators, SCBWI). 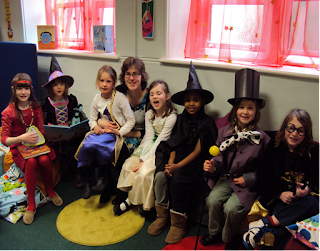 I also love coming into primary schools and getting children as excited about writing and reading as I am.